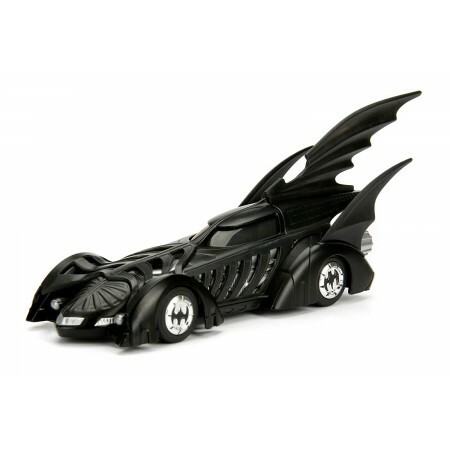 1:32 Batman Forever Batmobile From The movie Batman Forever comes this cool, skeletal like take on Batman's trusted ride, the Batmobile! 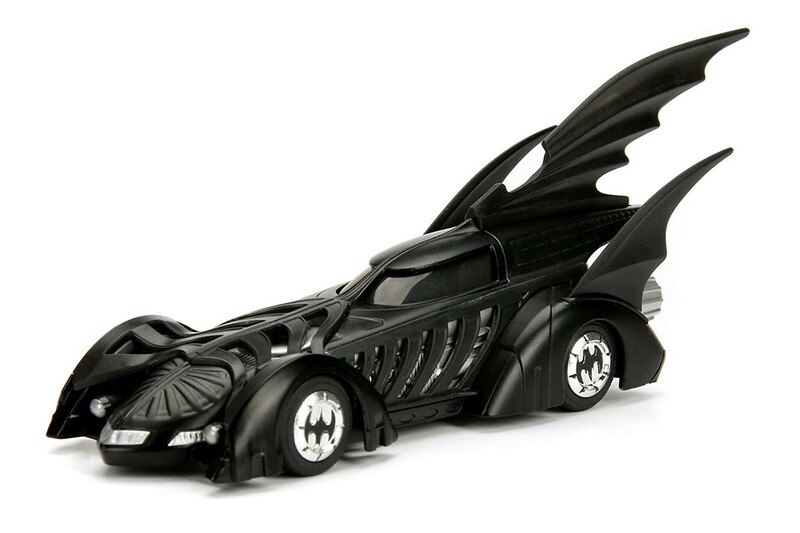 Featuring a die-cast body & rubber tyres, 1: 32 scale Batmobile is a must have in any Bat-fan! Supplied in a Batman themed window box.